This book focuses on operations management and the strategic implementation of programs, techniques, and tools for reducing costs and improving quality. 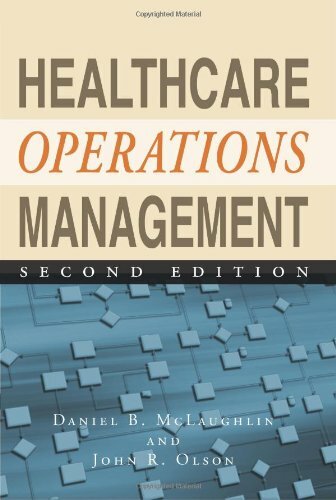 It covers the basics of operations management and explains how operations and process improvement relate to contemporary healthcare trends such as evidence-based medicine and pay-for-performance. The book’s practical approach includes real-world examples to illustrate concepts and explanations of software tools that solve operational problems. This second edition has been thoroughly revised to address current issues facing healthcare managers. Major revisions include extensive updates to the chapters on statistical tools, Six Sigma, and the Lean enterprise. The chapter on project management now includes information on agile, and the chapter on scheduling and capacity management has been substantially rewritten and expanded. A new chapter on improving financial performance with operations management has been added.